Let us help you find fun things to do in Darwin, the Top End of Australia! Visit Darwin During The Wet Season! Explore Darwin, the Australian gateway city to Asia. With its advantageous location at the north-most end of Australia, this city acts as a cultural and economic hub of the Northern Territory. Let balmy beaches, luxury cruises, thrilling water adventures, rich Aboriginal art and culture, exquisite galleries, interesting museums and vibrant markets blow you away in this capital city. Hop between natural and cultural destinations like the Kakadu National Park, Litchfield National Park, Berry Springs Nature Parks, Katherine Gorge, Tiwi Islands, Museum and Art Gallery NT, etc. Go fishing at the Top End, feed and see the antics of the crocodiles at the Crocosaurus Cove or burrow down the ‘World War II Memorial’ Oil Storage tunnels. A shopping trip to local markets like the Mindil Beach Sunset market, the Parap Village Market etc. give you the opportunity to discover what’s on in Darwin. Come sunset, take a guided tour to the gorgeous Bare Sand Island where you can search for turtles with flashlights in hand, and watch them lay their eggs. End your evening amid the palm trees in the beer garden, at the water-ski club on Vesteys Beach. If lucky, you can also enjoy some live music by local bands that frequent the area. Go ahead, indulge in some fun Darwin activities and explore this coastal destination looking out to the Timor Sea! A city’s landscape is a tell-tale about the journey of the region, since time immemorial. The city of Darwin is no different. Located at the northern-most end of Australia, this capital city is said to be inhabited by the Larrakia tribes for nearly 40,000 years. Even today, these tribes continue to be the traditional custodians of the area. Historical accounts indicate that the Larrakia people had trade routes with Southeast Asia, South Australia and Western Australia. Did you know that the Larrakia tribes have dedicated songlines for all their major routes? Just recite the words of the song in the right sequence and you will find all the landmarks on the way, provided you understand this local dialect. Brilliant, isn’t it? You can still see the Larrakia tribes in and around the city, carrying their rich culture forward with soulful songs, folklore, dance and art. It is said that the Dutch were the first to visit this northern coastline in the 17th century. Later in 1839, the British sailor Lt. John Lort Stokes voyaged to the Darwin shoreline, and it was he who named the city after his former shipmate, Charles Darwin. However, it is interesting that Charles Darwin had never visited the region himself. Later, many foreign settlements came to Darwin and the area began to flourish. Almost a century later, in 1942, the World War II wreaked havoc on Darwin, with the Japanese inflicting over 60 air raids in the area. This resulted in hundreds of casualties. The town of Darwin recovered from these attacks and was granted city status in 1959. But, another disaster struck the city in 1974 in the form of Cyclone Tracy, killing 71 people and destroying over 70% of the town's buildings. Now, it is a hotspot tourist destination and a developed city precinct. When in Darwin, visit restored historic buildings, preserved as memorials of World War II. You can also head down to the Top End for a wartime history tour or go the museum and war cemetery near Adelaide River. Darwin has an international airport situated near the city, with connectivity to all major Australian airports and international locations. Convenient airport shuttle buses and taxi services are available for pickup and drop at the airport. Darwin also has a dedicated rail line called the Ghan train, operated by the Great Southern Rail from the new Darwin to Adelaide via Alice Springs. 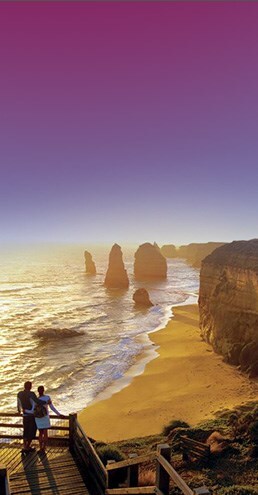 If you have ample time, go on the famous two-day train journey spanning over 3,000 kms to Adelaide. Travel by bus with the commercial bus services available on Darwinbus. It is a comprehensive bus network starting from the Darwin Bus Terminus. Make most of this bus travel service with the economic weekly and daily travel passes. Also for long-distance journeys, Greyhound Australia operates bus services from the Transit Centre. For road travel in Adelaide, you can use your own car or a hired taxi service. Also, bicycles, bikes, cars or campervans are available for rent, at all major locations. Parking facilities, both free and paid, are available throughout the city, with the cost depending on the location and duration of parking. Most major parking spaces are equipped with facilities for people with special needs, and are free and untimed during the weekends. Darwin is equipped with a well-functioning Visitor Information centre. For any help, drop in at the George Brown Botanic Gardens Information Centre and get travel advice, maps, brochures, planning tools and booking-related information from the knowledgeable and trained staff. There block toilets or Exeloos throughout Darwin, with about 50 of them open to the public. All government parks and recreation centres are also facilitated with well-equipped restrooms. Apart from shopping centres and outlets around the CBD, there are many local markets, in and around Darwin. All markets feature stalls offering international food items, arts, crafts and entertainment. Popular markets in Darwin are the Mindil Beach Sunset Markets, the Sunday morning Nightcliff Markets and Rapid Creek Markets, the Saturday morning Parap Village Markets, and Palmerston's Friday night markets. Check for days when these markets are open and get to know the market timings, before you head out on a shopping spree. Most markets are open two days in a week with different business hours, and are closed on public holidays. Enjoy bush tucker dishes inspired by the Aboriginal culture and find everything from fresh fish, Moreton Bay bugs, lobster, oysters, kangaroos, alligator, crocodile, pork, to steaks at all major eateries. Also available are cuisines like Thai, Indian, Chinese, Italian etc. to suit the international palate. Motels, hotels, holiday retreats, waterfront resorts, lodges, homestays, premium apartments, name it and you will find one to suit you in Darwin. With beach-facing views or private pools, you can find your dream holiday retreat in Darwin. Budget-friendly dorms, farm-stays and lodges are also available throughout the region.